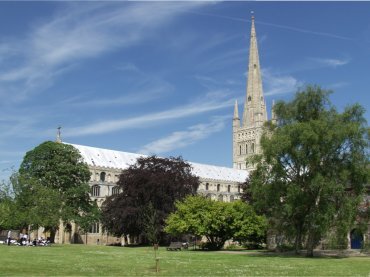 Norwich Cathedral, one of the most prominent landmarks in Norwich, is the second longest, at 450 feet, and the second highest cathedral in the country and is seen here from within the Cathedral Close. The foundations of the cathedral were laid in 1096 when the presbytery, choir, transept and the lower stage of the tower were built. The next bishop added the nave and its side aisles and there have been a number of alterations and repairs since. 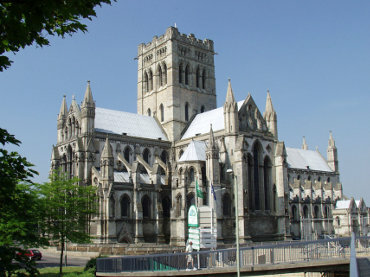 It may surprise you to learn that Norwich has two cathedrals. The Cathedral of St. John the Baptist is a Roman Catholic cathedral built in the late 19th century being finished around 1910. It may not be as old as the other cathedral but it is very impressive and has many interesting and attractive features. Built by the Normans about 1160 this castle is perhaps the most splendid of all surviving examples of Norman military architecture apart from the Tower of London. It was refaced using Bath stone in the 1830s and despite the accuracy of the work it looks sadly false. The original structure of the keep is, however, well preserved inside. It also houses perhaps one of the best museums outside of London with a variety of exhibits relating to archaeology, history, art and natural history. We stayed at The Georgian House Hotel on this trip in June 2006. 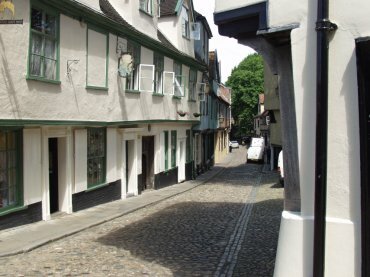 This preserved Medieval cobbled lane is one of the most attractive streets in Norwich and is frequently photographed and painted. 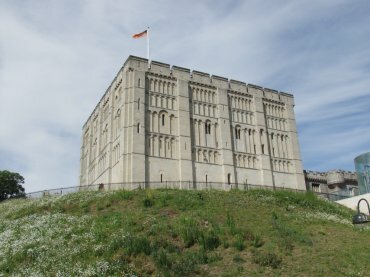 Yet it was derelict until the Norwich Corporation bought it and were persuaded to restore it about 80 years ago. A 'must see' when you are in Norwich. 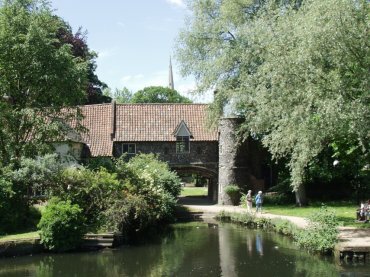 This picturesque spot, seen here from the opposite bank of the River Wensum, was a 15th century watergate giving access to a small canal which ran up to the cathedral. The canal has long since been filled in and now forms a pathway into the cathedral close. The original canal, which was built by the monks, was used to transport the stone used for building the cathedral the spire of which is visible in the background. 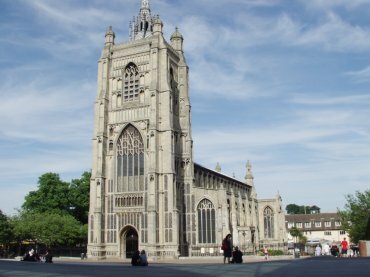 St. Peter Mancroft Church, Norwich. Visitors sometimes mistake this for the cathedral and that could be considered a natural mistake but this is just one of the many parish churches in Norwich although, admittedly, a parish church on a grand scale; it is the largest church in Norwich and stands at the edge of the market place. Building started in 1430 on the foundations of a previous Norman church. The tower, which was not added until the 19th Century, is 146 feet high.